E.K: Let me start with a confession. I'm a big fan of your work. I'm sure you've heard these words a million times. What sorts of feelings do these words inspire every time you hear them? M.V: It's still wonderful. Writers sit alone in a room and have very little idea if what we care about affects others the same way. When we hear from fans how important our work meant to them it's a day maker. and writer, in comic books, movies, TV, animation, theme park shows, children's books, novels etc. Which one(s) of these fields gives you the biggest creative satisfaction? Where do you feel more at home, so to speak. M.V: I think of myself as a writer and I love to write everything. My biggest love, however, is still comics. E.K: Which one of your works in comic books made you feel that you had reached the highest level of your storytelling talents and abilities. In other words, which work of yours do you consider your best, so far? M.V: Impossible to say. There are things in different works I've done that I like. There's a lot I don't, too. E.K: Is there any literary movement that has significantly inspired your writing style and that you believe they show in your work? M.V: I love reading history but have done very little in that field. I wish I had a better idea but most of the time I write what I care about and I don't know where the inspiration comes from. 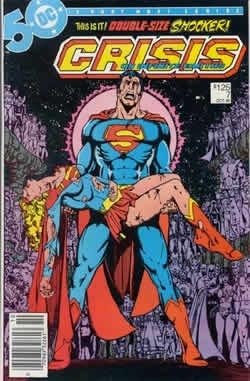 E.K: I'm sure that you must be fed up with talking about Crisis On Infinite Earths. 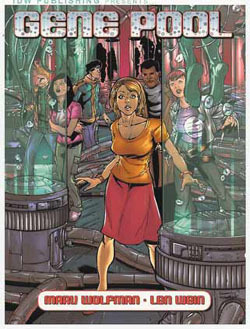 Nonetheless, I feel obligated to ask you about this extremely important chapter in the history of the comic book medium. While you were collaborating with George Perez, were you aware of the fact that you were creating a piece of work that would remain unsurpassed in its scope and magnitude for so many years? M.V: I knew we were doing something very important, no doubt about that. You can't pitch an idea that would completely change 50 years of comic history without knowing that. I knew while we were doing it that the story was actually working, despite it being so complex in plot and scope. And I knew we had done something really good. As for whether or not it is unsurpassed as a company crossover maxi-series or not, that's not my place to say. I think it's the best one done to date, but others might disagree. But I certainly hope in the future it is obviously surpassed. Since I can see problems in it (I would have loved the story to take 24 issues but with no more story so George's art could have been bigger, and i would have loved to have had time to do another pass on the dialogue) if nobody ever does better it means the standards are falling. But I am 90% satisfied with what we did even though I still wish we'd been allowed to do the ending I wanted where everyone forgot the Crisis ever happened and that all DC Comics were renumbered #1 the month after the book was done. That way all continuity problems that have cropped up would have been solved. But I wasn't allowed to do that. E.K: Do you have a response for the people that believe that all superhero comics are for kids or immature adults? I'm not sure of what's the general opinion on this matter in the States, but here in Greece, the superhero haters -though losing power in recent years- are trying to divide the local community in two camps. M.V: I think good super-hero comics can be done for kids and for adults. There is nothing wrong with the genre. You just have to write stories with more depth and subtleties for adults. E.K: During the 80's, the Teen Titans, under your creative guidance was the flagship team book of DC Comics and -in a way- the greatest opponent of Marvel's X-Men. 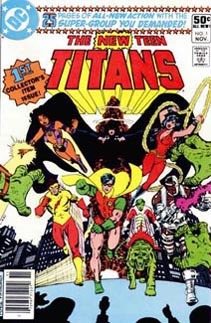 What do you feel is the reason that the glory days of the Titans were cut short in the late 80's & early 90's, while the success of the mutants kept getting bigger? M.V: Many reasons. Some personal, some editorial. I won't go into it. E.K: Do you read the new Titans book? I'm sure our readers would love to hear your opinion on it. M.V: I never read any book based on material I created once I get off the title. E.K: Tell us a bit about Gene Pool - the comic book and the movie. How would you describe it to the average comic reader that hears about it for the first time? M.V: Gene Pool is about the victims of genetic manipulation which was designed to save their lives. Unfortunately, someone wants their DNA and is after them. But the people have only recently learned they have special abilities and do not know what is going on. E.K: What are your creative plans for the future? Any hot new projects we should be on the lookout for? M.V: I just did an episode of the Teen Titans cartoon show, season 3. I did an issue of The Escapist for Dark Horse and I'm writing a novel based on one of my comics.